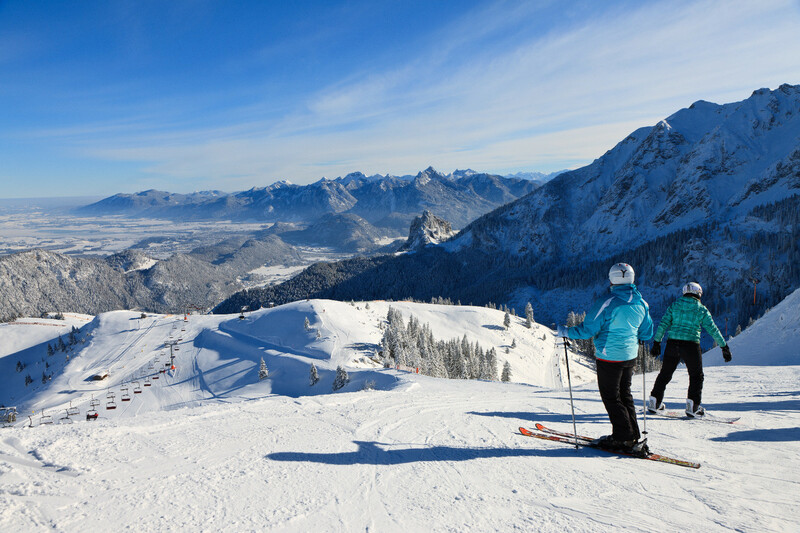 The ski area Breitenberg-Hochalpe is the largest and most snow reliable ski area in the Ostallgäu. A modern skyride takes you to the ski circuit Hochalp on an altitude of 1200 m to 1600 m. The pistes can be groomed with snowmaking equipment and the area is avalanching secure. Another one of the ski area’s assets is the snowboarder fun park in the Kesselmoos with lots of obstacles. The Allgäu’s longest toboggan run can also be found in the ski area. Around the Breitenberg, a spacious net of cross-country ski runs is available. Get snow reports and powder alarms from Breitenberg - Hochalpe - Pfronten straight to your inbox!